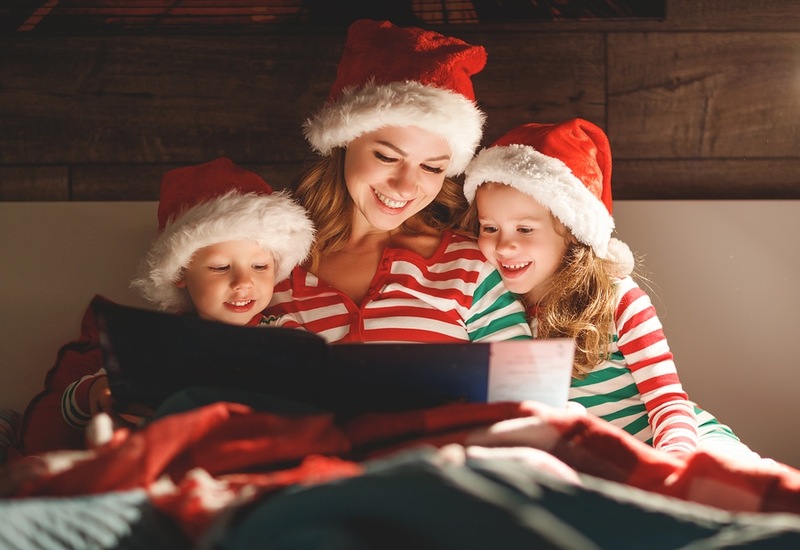 We know that the days leading up to Christmas as well as the last few weeks of school before the Christmas break can be tough for kids and teachers and, yes, even parents. There are lots of distractions and busyness that is happening all around. Maybe you need something to slow the chaos down and bring things back into focus. 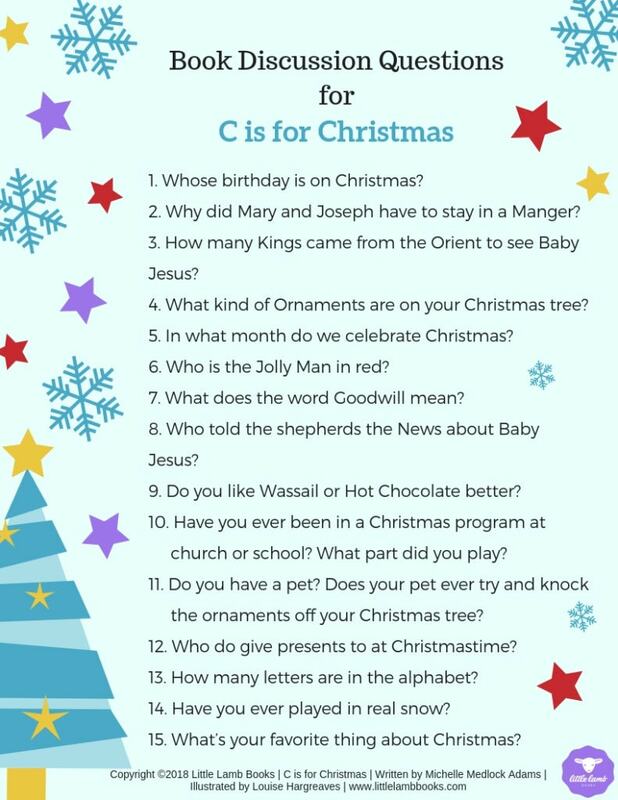 For Day 7 of the 12 Days of C is for Christmas, we have a list of 15 book discussion questions to help you engage with your son or daughter as they read the ABC picture book C is for Christmas. Use these questions as conversation starters and see what answers your kiddos share with you this holiday season! We have more fun activities and free printables available during our 12 Days of C is for Christmas! Each freebie, except for the a Holiday playlist via Spotify, is available under the Shop tab on our website. C is for Christmas is written by award-winning and bestselling author Michelle Medlock Adams and illustrated by the lovely Louise Hargreaves, and combines the story of the first Christmas with present-day traditions. Don’t forget to order a copy of C is for Christmas for your family to share together and with others at church, school, or even your local library. The hardcover and paperback versions are available online through a variety of retailers, including Barnes & Noble, Amazon, and more.